Burning in the calf muscle can be caused by a number of things. Your calf muscle is located on the back of the lower part of your leg. This muscle is actually two muscles: the gastrocnemius and soleus. The soleus muscle attaches to the Achilles tendon, and the gastrocnemius muscle attaches just above the knee joint. The burning can range from mild to severe, but regardless of the severity, it should be addressed by a doctor. The calf muscle can become strained due to injury or overuse. In addition to a burning sensation, a calf strain can cause tightness, pain, bruising, swelling and aching, notes the Sports Injury Clinic. Proper stretching before your workout helps reduce the risk of straining your calves and other muscles. Even if you're sedentary, a daily stretching session helps you avoid injury during daily activities. Peripheral neuropathy is a condition that occurs when you have damage to your peripheral nervous system, which is a network of nerves that runs throughout your body. Diabetes is one of the most common causes, but it can also result from other issues, such as traumatic injuries, metabolic problems, infections or exposure to toxins. This condition often causes a variety of sensations, such as burning, electrical shock-like pain, jabbing or sharp pain, and a severe sensitivity to light. This condition can also cause lack of coordination, bladder or bowel problems, muscle weakness or paralysis. Sciatica is caused by a variety of medical conditions, such as degenerative disc disease, tumors, herniated spinal discs, spinal stenosis, or a pelvic fracture or injury. This condition is characterized by burning, pain, numbness and weakness, according to Medline Plus. If you have sciatica, it's possible to experience a tingling or burning pain in your calves or elsewhere in your lower body. 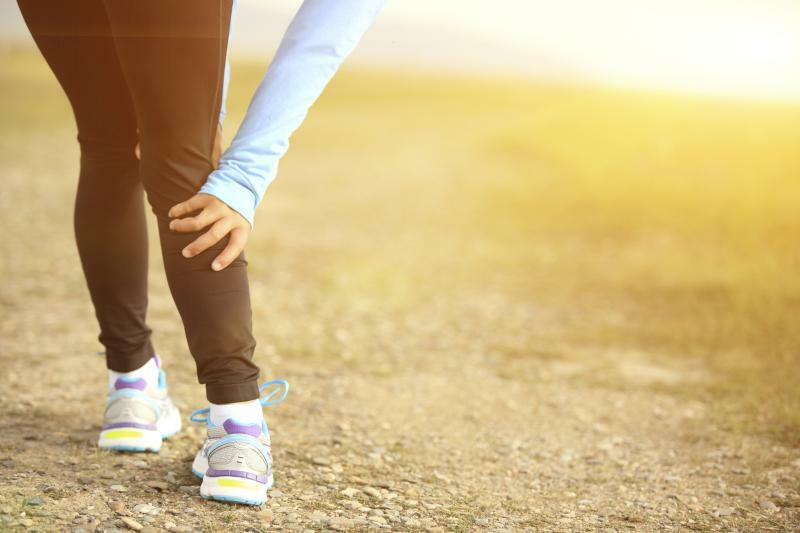 What Causes Burning Knee Pain After Exercise?